Every woman has, at some point in her life, fallen prey to the power of the hair straightener. 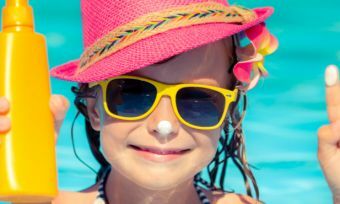 Whether you were eight-years-old, watching in fascination as your older cousins straighten your ponytail, or 12, begging your mum for one in time to look cool for high school, or maybe you were even older and crumpled from curiosity – we’ve all been there. Ever since we said goodbye to the beehive and hello to sleek, women (and some men) all over the world have been striving for that perfect straight ‘do’. In our quest for perfect hair, we crank our straighteners up pretty high – some can even reach up to 300+ degrees Celsius. Whilst this gets the job done, it can be pretty dangerous to leave one of these bad boys lying around. So, if you’re looking at buying a new hair straightener, then we highly recommend that you consider purchasing one that turns off automatically after a certain amount of time. You know what they say – if you can’t handle the heat, get out of the kitchen (or in this case, just invest in one of these). Read on as Canstar Blue helps you choose the straightener perfect for you. How do hair straighteners work? There’s a reason why straighteners are nicknamed ‘irons’ – they are basically just two tongs stapled together to iron your hair down flat. When the iron plates are pressed down either side of your hair, the heat from the plates is dispersed throughout your hair which causes it to hang flat and ‘straight’. Hair straighteners work best when the hair is dry, however can usually (with a bit of effort) get the job done with damp hair. It is, however, basically impossible to straighten wet hair and it is advised that straighteners stay away from anything wet, especially large amounts of water. What makes a good hair straightener? There’s a lot to factor in when deciding on what straightener is best, and more importantly best for you. There are straighteners designed for thick, thin and curly, there are straighteners with titanium or ceramic plates and there are straighteners with low, medium and high heat. At the end of the day, it comes down to your hair and what works best for you. If you have thick hair – think about investing in a heavy-duty straightener with thick tongs and a high maximum temperature. If you have thin hair – think about investing in a titanium plated straightener. They’re more expensive than ceramic models, but can usually operate at the same level as ceramic, but at a lower temperature – reducing damage to thin and easily damaged hair. How much electricity do hair straighteners use? It all depends on how often and how long you use it for – for example a straightener that’s used for five minutes a day, seven days a week, will use approximately 4.20 kilowatt hours a month, or 1.05 kilowatt hours a week. This should cost households over a dollar every month. If you have thicker hair and will be using the straightener more, obviously this cost and energy usage will spike. You’ll find hair dryers cost a similar amount. Although there are hundreds of hair straighteners on the market, here are some of the big-name brands that supply straighteners that automatically turn off. We take you back to where it all started with GHD’s Original IV Styler. The English brand GHD, which stands for ‘Good Hair Day’, is somewhat of a king in the world of hair straighteners. And if GHD is the king, then this straightener is its crowned jewel. The first ever GHD created, the original IV styler, is favoured all around the world for creating smooth and sleek every day styles. The highly respected and trusted straightener uses ceramic heat technology and heats up to 185°C, ideal for thin-medium thick hair. And of course, left unused, the straightener will turn itself off after just 30 minutes – a function that all GHD straighteners possess. Grab this ultimate classic in store or online for $195. If you’re willing to splash out on a high-end straightener, then this is the one for you. Cloud Nine’s Original Iron comes highly reviewed and recommended by industry professionals and celebrities. The straightener features mineral-coated ceramic plates which are known to be kinder on the hair, allowing consumers to achieve high-temperature results at a lower, more hair friendly temperature (score!). People are able to choose their own temperature, as the Original Iron features five different temperatures between 100 and 200 degrees, and sleep mode is activated after 20-30 minutes of inactivity. The company itself, Cloud Nine, was created by the same person that founded GHD – so you know they’re the real deal. 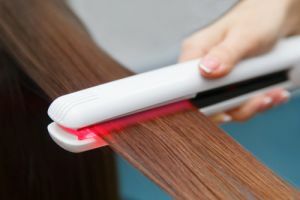 The straightener comes with a pretty hefty price tag, but it also comes with a MicroComputer (MiCOM) controlled heating system, which make the irons ‘think’ for themselves, adjusting temperatures according to the thermal sensor’s calculations. This is an Australian home-grown brand you are not going to want to forget any time soon. Silver Bullet’s Keratin 230 hair straightener is ideal for users of all hair types, but especially those who are undergoing keratin or some other kind of permanent hair straightening treatment. The brand credits this to the micro-chip (that’s similar to Cloud Nine’s) in the straightener which ensures excellent heat acceleration at high temperatures- essential for the successful application of permanent treatments. The iron heats up to 230°C under a minute, yet is still able to turn off automatically after being left unattended for 30 minutes. Buy this straightener for $199.95 online or in store, or the titanium plates for $219.95. If you’re after something slightly more affordable, look no further than Remington’s Pro Ceramic Max Wide Plate straightener. This straightener is ideal for people with curly or thick hair, as the plates are 45mm extra wide, which is 80% wider than regular Remington plates. These larger plates allow for an even heat distribution of the 150°C to 230°C temperature range, which results in even the curliest heads of hair silky smooth. Despite the brand not being specific to hair straighteners (Remington cover all types of hair care and beauty for both men and women) this straightener comes with rave reviews of such high quality for a low price. Of course, it also has a safety function where it switches off if left alone. Curls are something that can be achieved with a hair straightener. Luckily for you, VS Sassoon’s Digital Sensor Straightener is a great reminder of that – the blades are the perfect shape to achieve curls and waves, whilst still succeeding primarily as a hair straightener. The digital sensor straightener is named so due to its intelligent hair protect sensor mode which monitors plate temperature – which can reach up to 235°C in 30 seconds and can shut off automatically for safety. The brand is also highly respected – VS Sassoon pairs advanced hair appliance technology with the heritage of one of the most celebrated hair stylists, Vidal Sassoon, who was responsible for making the bob cut famous. Buy this for $99.95 online at their official site. There you have it – it’s time to invest in one of these quality auto switch hair straighteners and say goodbye to that horrible feeling of arriving at work and wondering if you’re going to be getting a call from the fire service.